Size( Length X Width X Height) 1000 o.d. to 8000 o.d. 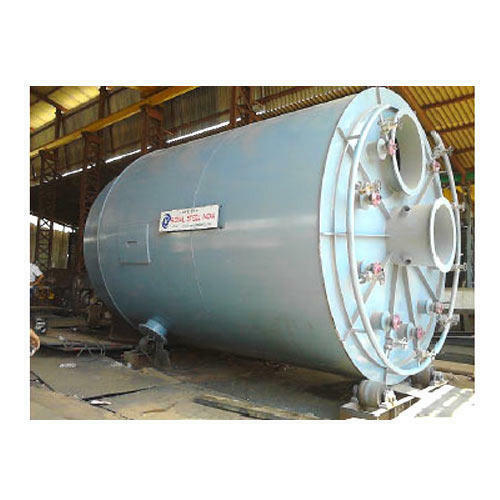 Royal Steel India, being a well-known company was incepted in the year 2009 as a Manufacturer, supplier and service provider of Heavy Industrial Products. Offered range of products includes Eccentric Reducer, Carbon Steel Pipe and Coal Gasification Reactor. All the products provided by us are manufactured and developed making use of supreme quality raw material and progressive tools and technology. Enormously recognized and commended across the national market for their high resistance against corrosion, sturdy built dimensional accuracy, flawless finish and consistency, these offered products are highly commended. To promise their perfection, our quality managers examine these on a collection of restrictions prior providing these at our customers end. Huge infrastructure facility plays a very significant role in the functionality of a company. Keeping this in view, we have constructed a sound facility for ourselves which is segregated into a varied of departments so that all the responsibilities are executed in a controlled and hassle free manner. To keep a close tab on the implementation of every section, we have hired a stern team of managers who are well recognized with the capability and understanding of their significant domain and are provision the professionals to comprehensive all tasks on time.